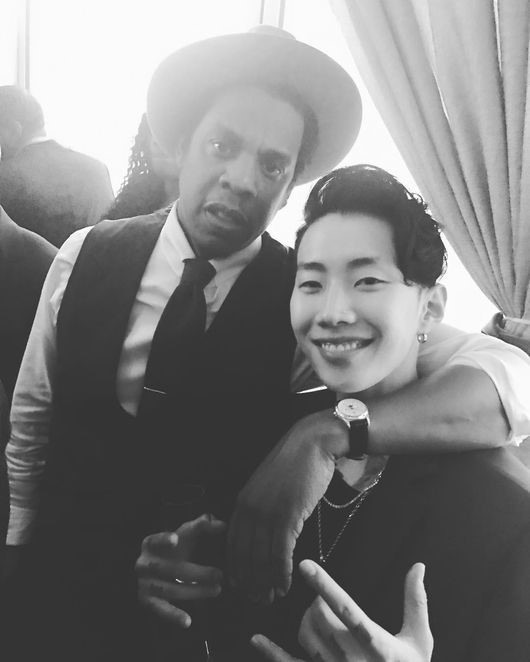 Jay Park revealed photos of himself with Beyonce and Jay-Z on his Instagram account Sunday. In the photos, he is at a party with the global celebrity couple. The photos were taken at Roc Nation’s Pre-2018 Grammy Awards Brunch at the One World Observatory in New York. Last July, Park signed a deal with Roc Nation, Jay-Z’s label. He was the first Asian-American artist to do so.